Andrea Navedo is an American actress. She is best known for playing the role of Xiomara “Xo” Villanueva in The CW series Jane the Virgin since 2014. She portrayed the recurring role of Ana Cordova on the NBC legal crime series, Law & Order (2001-2004). Navedo’s other notable works include How to Make It in America, Golden Boy, and Law & Order: Special Victims Unit. 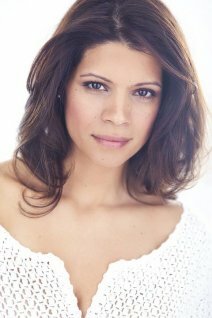 Born on October 10, 1977 in The Bronx, NY, Navedo was raised by a young single mother. She is of Puerto Rican descent. After graduating from DeWitt Clinton High School, she attended and graduated from the State University of New York at Old Westbury in 1999 with a BA in Communicative and Creative Arts and a concentration of Theater. She began her professional acting career on the daytime soap operas. She has been married since 2000 and has two children: a daughter Ava and a son Nico. *She was born on October 10, 1977 in Bronx, New York City, USA. *She belongs to Puerto Rican descent, and was raised in a Latino-American family. *She attended the State University of New York at Old Westbury, and graduated in 1999.